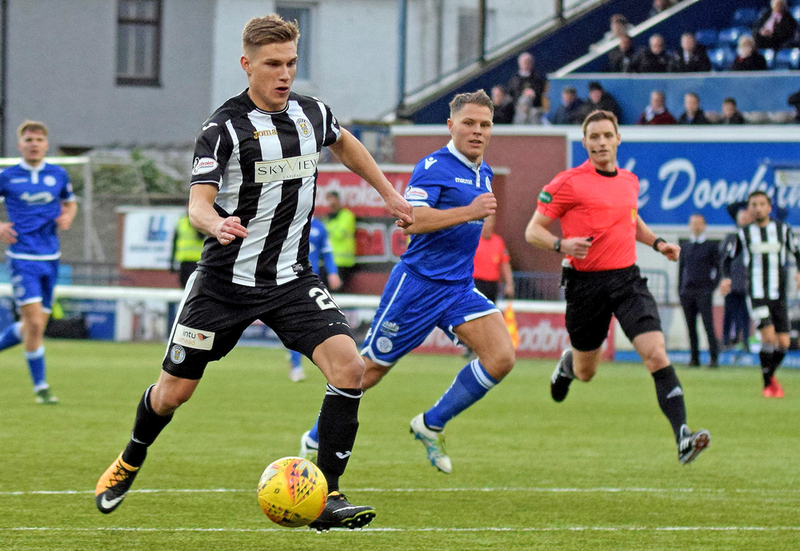 The season of goodwill and giving was well and truly in evidence at Palmerston this afternoon as following an explosive start from Queens, they then gifted Championship leaders St.Mirren 3 goals as the visitors from Paisley came back from being two down inside just 6 minutes to take all three points. There seemed to be little too worry about for the home fans as we raced into a two -goal lead, and the opener after just 19 seconds from Stephen Dobbie was what everyone of a Queens persuasion was hoping for, but there is an old saying in football that says sometimes you can score too early in a game, and unfortunately for Queens, that saying came true today. Following last weekend`s abandoned game, Queens started with the same team that lined up against Dundee Utd, and they got off to the best possible start when after just 19 seconds Stephen Dobbie latched onto a loose ball, drove forward and sent a low shot past Samson from the edge of the box to notch his 100th Queens goal and give us the perfect start, and although the striker`s celebrations were obviously a bit exuberant, it hardly warranted the yellow card that he received. That good start got even better on 6 minutes as this time Dobbie turned provider when his excellent weighted pass sent strike partner Chris Kane through on goal, and the on-loan striker showed good composure to slot the ball past Samson. The league leaders were visibly stunned and their large travelling support had been silenced by what had happened in the opening minutes, but as the game developed, they began to get their passing game going, and went close to pulling a goal back when MacKenzie got his head to a corner, but his effort drifted wide of the far post. A passage of neat football from the visitors created a chance for Smith down the left, but he was unable to give the impressive approach play the finish it deserved. 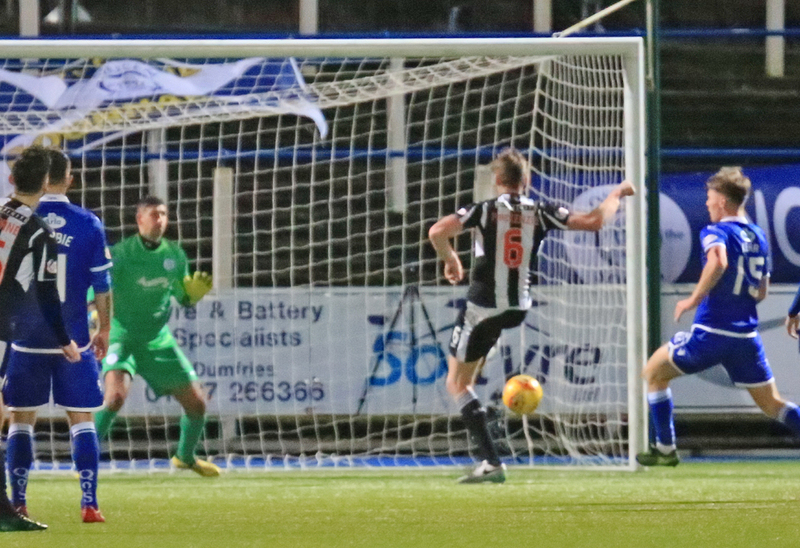 Queens replied with an attack of their own that saw Andy Stirling break clear, but he was not able to find the power to test Samson and his shot was comfortably held by the one-time Queens `keeper. The pace of former striker Gavin Reilly was once again on show, and on several occasions and along with both Smith, and Morgan, they had the ability to get in behind the Queens defence and cause us problems, but when on 19 minutes the visitors found a way back into the contest, the `assist` came courtesy of the Queens rearguard.There seemed to be no danger when a long clearance bounced just outside the Queens penalty area, but in a classic case of `after you sir`, both Darren Brownlie, and Alan Martin, left the ball for each other to deal with, and while neither of them did, Reilly was on hand to tap the ball into the empty net. 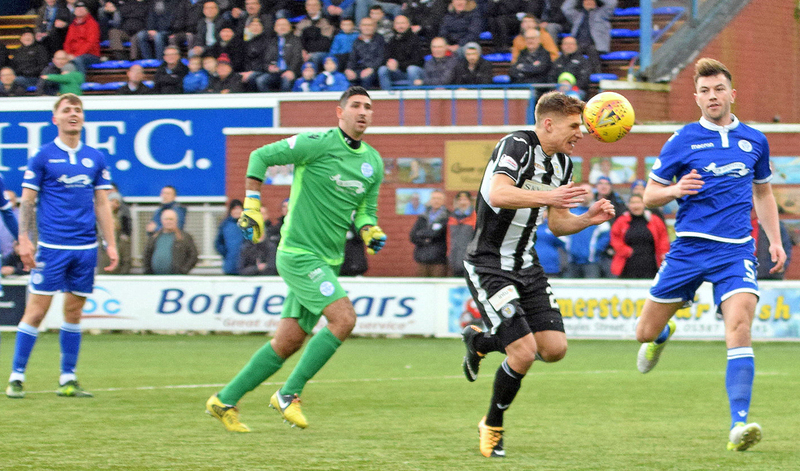 It was something that we have seen many times before at Palmerston, but it did feel very strange seeing him score against, rather than for Queens. The game was held up on 26 minutes after a three way collision involving Demetriou, Kane and Kyle Jacobs ended with Jacobs having to be stretchered off after appearing to have been caught by both of the other players in the challenge. 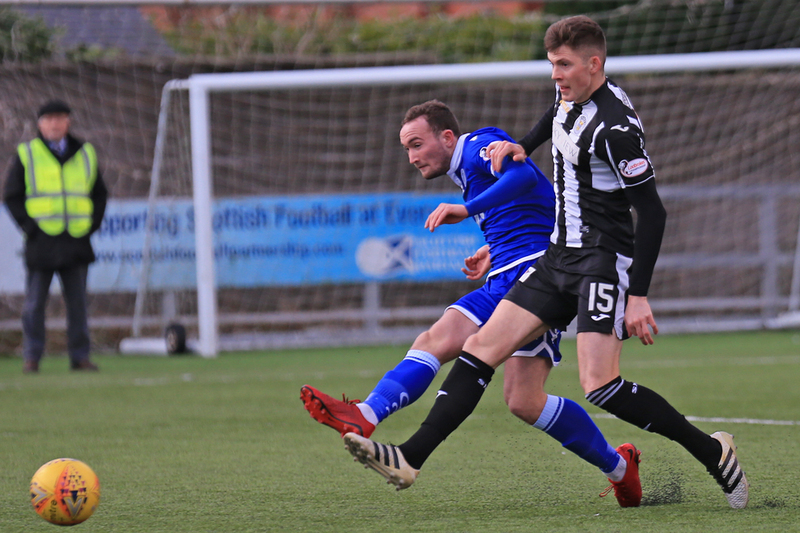 Callum Tapping replaced the injured Jacobs, and as Queens ventured forward, and won a free-kick, Tapping`s delivery was cleared out as far as Brownlie but he blasted his shot high over the bar from close range. The Queens defender became the second player to be cautioned by referee McLean for apparently time wasting at a free-kick, and a few moments later he and the rest of his defensive team-mates were caught out again as the visitors drew level when the pace of Reilly took him clear of the defence and he calmly slipped the ball past the exposed Alan Martin. Clearly the away side were on top at this point, and our ability to keep giving the ball away needlessly was putting us under immense pressure, and Martin had to produce an instant reflex save to keep out a header from Baird as St.Mirren grew in belief. Sipper, John Rankin, became the third Queens player to be booked for a foul on Magennis on halfway, then just before the interval we had a half chance to regain the lead when a free-kick from Stirling fell to Tapping, but he was unable to get the bouncing ball properly under control and could only lift his shot over the bar. We started the second period quite well and Dobbie tried his luck with a low shot from the left that was well gathered by Samson, and the same player went close again moments later when a snap-shot from the right hand side of the area forced Samson into making another decent stop. The visitors responded with a quick break that almost saw them take the lead when an error from Rankin was seized upon by Morgan who ran forward at pace before sending a firmly struck shot narrowly wide of the far upright. As both teams pushed forward looking to find the next goal, space became more readily available and it was the neat, precise and quick passing from the visitors that looked the more dangerous.On the hour mark Gavin Reilly went extremely close to completing his hat-trick when he was on the end of a long ball, but after eluding the Queens defence, he could only guide his shot wide of the target. The momentum was clearly with St.Mirren at this point, and on 68 minutes the 600 plus visiting support were sent into raptures when MacKenzie prodded them into the lead for the first time in the contest following a left wing corner taken by another former Queens player, Ian McShane. From a Queens point of view it was yet another preventable goal as the big defender was left all alone to score from very close range. Jordan Marshall was injured when challenging for the ball in the opposing penalty area, and after hobbling around for a few minutes after the incident, he was unable to continue and was replaced by Shaun Rooney, with Scott Mercer moving from right to left back to accommodate the change. With 20 minutes to go the impressive Reilly was replaced by Mullen, and the former Queens player was warmly applauded by those who used to cheer his goals. Our final change came on 75 minutes when Derek Lyle replaced Andy Stirling, but we never really threatened in the closing stages as our final home game of 2017 fizzled out. Callum Tapping`s late foul saw him become the 4th Queens player to be booked, in what was never a `dirty` game. It was such a poor result after getting off to the best possible start, and although the visitors probably just about deserved the win, the way in which we conceded all three goals was really disappointing. 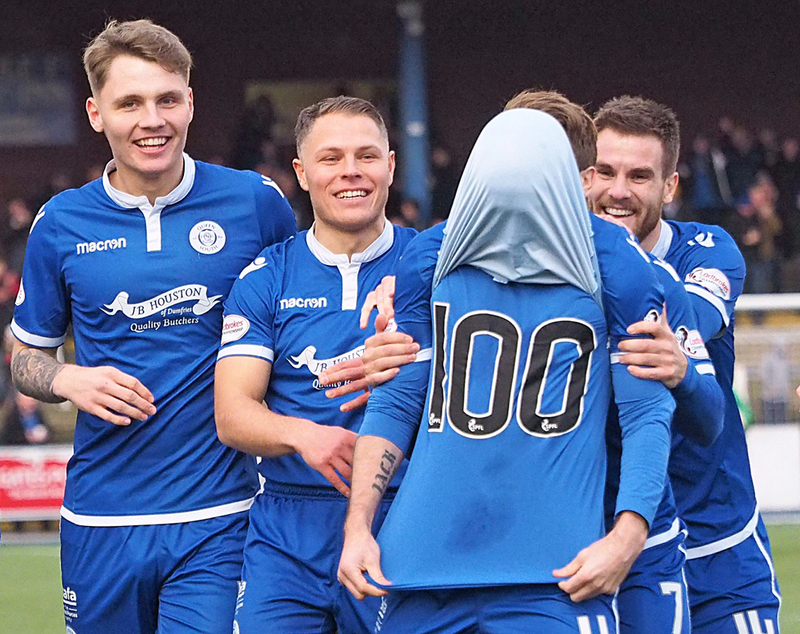 Chris Kane was named as man-of-the-match, and of course we will all remember Stephen Dobbie`s 100th goal for the club, but after such a brilliant opening 6 minutes, it really could, and should have been much more memorable. 14:34 Queens; Martin, Mercer, Brownlie, Kerr, Marshall, Stirling, Rankin, Jacobs. Dykes, Kane, Dobbie. 14:35 Subs; Leighfield, Rooney, Tapping, Bell, Lyle, Murray, McFadden. 14:36 St MIrren: Samson, McGinn, MacKenzie, Magennis, Morgan, Smith, Baird, McShane, Reilly, Smith, Eckersley. 14:37 Subs; Stewart, Stelios, Buchanan, Sutton, Mullen, MacPherson, O`Keefe. 14:38 No changes for the Doonhamers as they take on top of the Championship pile St Mirren. 4 min The only downside the great man is booked for his celebration. ACH. 6 min I`m sure this rumoured Dobbie statue is one-step closer after his 100th goal. 7 min Queens are on fire, St Mirren are terrified. 7 min A great through ball through by Dobbie to Kane and he slides home to make it 2-0. 10 min Brownlie makes a superb block for a St Mirren corner. 12 min Free-kick to the visitors. 19 min Stirling`s deflected effort is held by Samson. 20 min A total mix-up in defence between Martin and Brownlie sees Reilly to just tap home. 21 min Some game here at Palmerston Park. 23 min Dobbie hits a low powerful effort inches wide of Samson`s post. 24 min Kerr heads Stirling free-kick wide. 26 min Three players on the deck at the moment and a nasty coming together. Jacobs still receiving treatment. 27 min Jacobs will have to be replaced here. 33 min Dykes does brilliantly well to cross in, the ball is blocked into the path of Brownlie but he screws his effort over. 34 min Brownlie booked for dissent. 35 min Dykes brought down by the St Mirren defender. Dobbie to whip in the free-kick. 35 min Dobbie skies his free-kick over the bar. Still 2-1 Queens here. 36 min Reilly makes it 2-2 now. 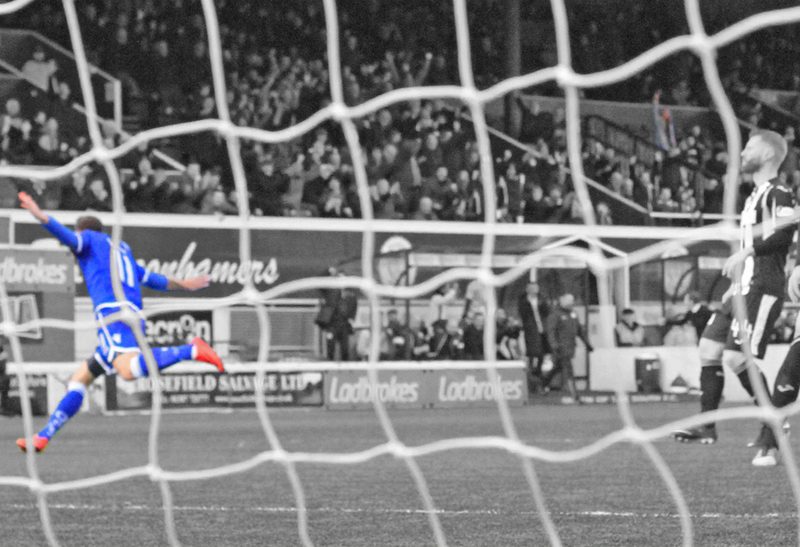 40 min Martin tips over Baird`s header. St Mirren on top now. 45+3 min Tapping fires over his effort. 2-2 here still. 47 min Dobbie hits a shot straight into the arms of Samson. 49 min St Mirren corner. 50 min Dobbie`s low shot is held by the keeper. Still 2-2 here. 53 min Free-kick to Queens in a dangerous position. 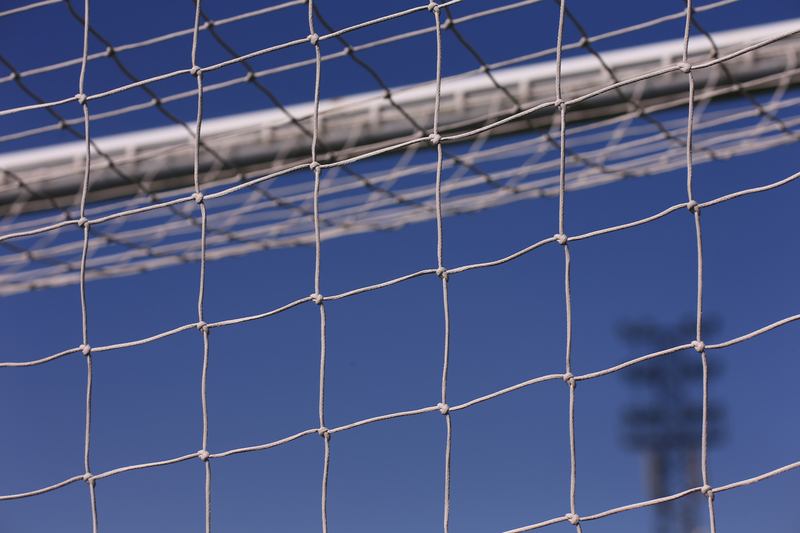 54 min Dobbie`s set-piece is blocked. 58 min Marshall now requires some treatment after an awkward landing. Seems to be okay to continue though. 67 min MacKenzie heads in to give Buddies the lead for the first time this afternoon. 78 min Kane does well to get round the defender and is fouled. Free-kick to Queens. 79 min Referee see`s a foul in the box and gives St Mirren a free-kick. 16:55 Leaders St Mirren come back to win 3-2 at Palmerston Park. 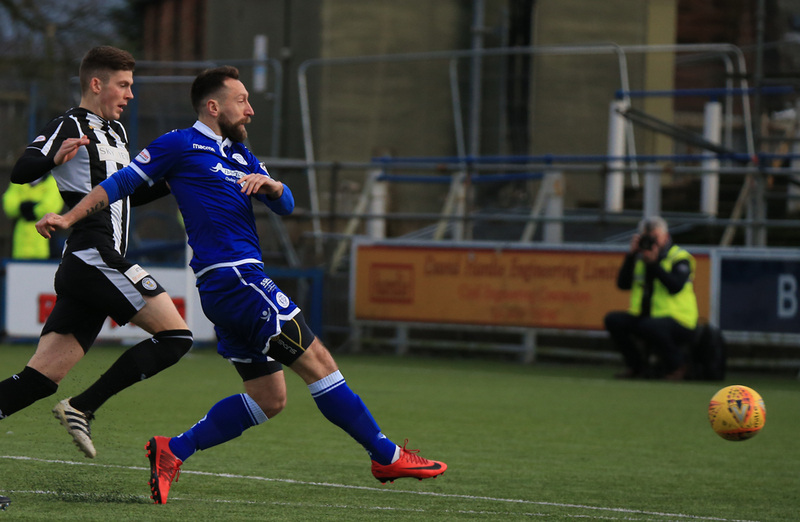 16:55 Stephen Dobbie scored his 100th goal for Queens in just 19 seconds.